I reviewed the original Tough Case a long while ago and it is still holding up very well. I am often frustrated with the cases that come with so many bit sets, so I have high hopes that DeWALT got it right. Why else would they go to so much trouble as to make a whole new Tough Case? The new case also has a see-through case lid, and a belt clip for extra convenience. 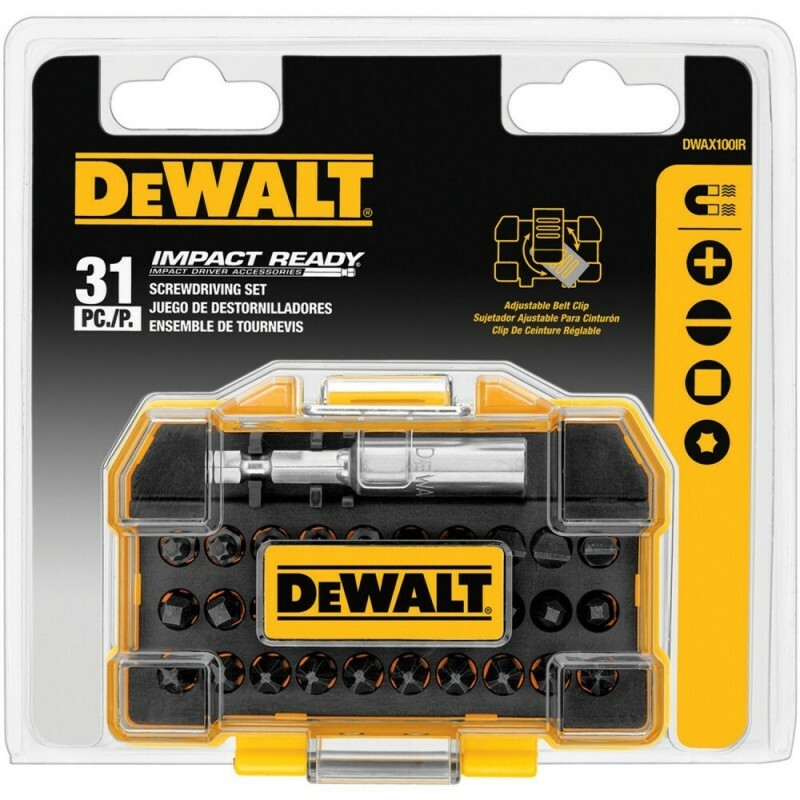 The three different sets cover different trade uses, for example: The DWAX100 comes with bits used by contractors, the DWAX200 has security bits for mechanical or electrical trades, and the DWAX100IR comes with bits that are impact rated. All three kits are available now and should retail for $10 to $12.